Should there be more charter schools in Philadelphia? That’s the question currently being weighed by the School Reform Commission as it reviews 40 applications from operators hoping to open new schools. With the race to become Philadelphia’s next mayor heating up, the candidates were asked to contemplate the issue. Although the SRC will make its decision far before the next mayor would have any influence, taking a position on charter expansion is one way candidates can differentiate themselves in a race where all will call for the state government to increase funding and implement a student-weighted funding formula. The question is not as straightforward as it may seem. 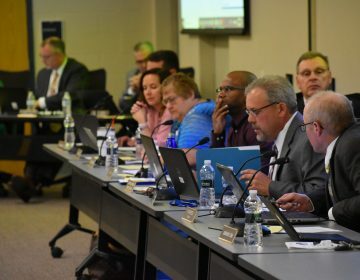 With each new charter the SRC approves, the cash-strapped school district, which has no taxing authority, will incur additional costs. Assuming the charters would open next year, these costs would add to next year’s projected budget deficit – eventually being resolved through additional funding or additional cuts to the district’s existing schools. But the SRC is aware that with each rejection letter it sends, applicants can appeal to a state board that has the power to override its decision. State Sen. Anthony Hardy Williams, considered the front-runner at this point, has long championed the charter sector. In his failed 2010 bid to become the Democratic gubernatorial candidate, he attracted record campaign sums from a pro-charter and voucher PAC endowed by the founders of the Conshohocken-based investment firm Susquehanna International Group. Hardy Williams Academy, a charter school Williams founded and named after his father (who preceded him in the state Senate), became part of the Mastery network in 2011. “Regardless of what new idea we have, we have to pay for it,” he said, adding the state must return the budget line — axed by Gov. Tom Corbett — that helped districts defray the added costs of the charter sector. Given the district’s dire fiscal constraints, Williams was asked if he could foresee a scenario in which the SRC would deny all charter applicants. Williams said the SRC could at least authorize as many charter seats as those lost in the midyear closings of Walter Palmer and Wakisha charter schools. Together the schools had signed agreements for 1,075 students. “That at a minimum we can do,” he said. In its deliberations, Williams also said the SRC should count on Gov.-elect Tom Wolf bringing about “a historic consequence” in terms of how Pennsylvania funds public education. Williams would not name a favored applicant in this year’s pool. Mastery has submitted two applications. 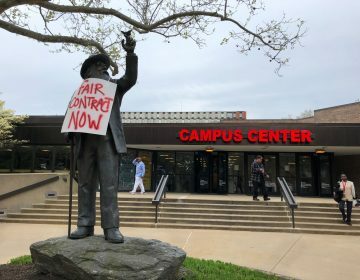 Abraham, chair of the board of directors of I-Lead, which runs a charter school in Reading, Pennsylvania, said the SRC should ensure that it doesn’t approve schools that will enroll students beyond their signed agreements. Over the years, some parents have been misled in thinking that charters would be a better option for their children, she said. In general, Abraham took issue with the idea that candidates should answer questions about a decision that will be made well before the next mayor takes office. The current SRC, he said, must ensure that green-lit applicants have a track record of high academic performance, good governance and stable fiscal management. Trujillo’s Pan American is one of the 40 applicants vying to expand its operations. Trujillo also called for closing poor performers. 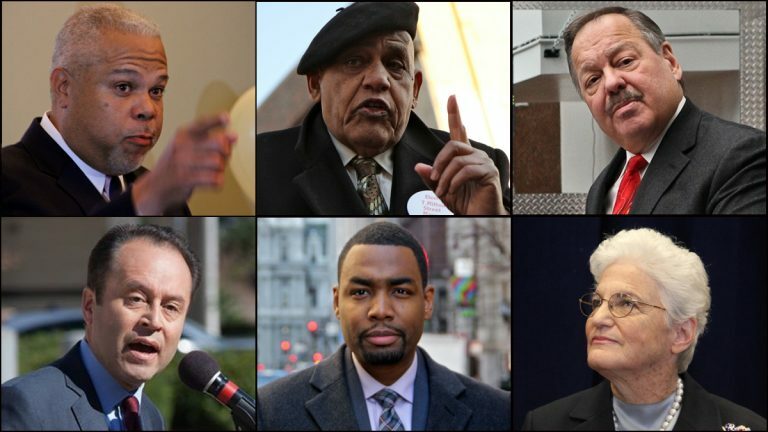 Trujillo, who has differentiated himself from the rest of the field by calling for the abolition of the SRC, said the next mayor will need to measure the success of his or her administration on the success of Philadelphia’s public schools. “I’m willing to take on that challenge,” he said. Street, a convicted tax evader who garnered 24 percent of the vote in the 2011 mayoral primary, acknowledged that charters have provided some families with better options. But, he said, gains have been too limited. “If you have charter schools where every child has access to a charter school, then charter schools might be a good idea,” he said. Street answered his own question. He said the state legislature has failed to make education funding a priority for decades, citing the downfall of his video bingo legislation in 1979 which would have funnelled all proceeds to schools. “I said 32 years ago, at that time, ‘Gentleman, if we don’t do something now, 25 or 30 years from now, there’s not going to be enough money for the schools,'” he recalled. Street, who believes he has the most “political intelligence” among the other announced mayoral candidates, blamed then state Rep. Chaka Fattah for the demise of his video bingo initiative. 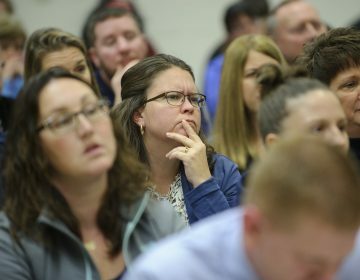 “We have to change that conversation by … creating a no-nonsense policy in our schools that would be second to none,” he said. “It means ‘no-nonsense,’ man. No violence. We put those children when they come to school in structure. We put them in uniforms. We have security in the hallways … and we force the children, by way of community and teachers in the school … to live by the standards,” he said. Street says he does not mean to imply that existing school leadership hasn’t done well in creating school culture. The “we” would be Street, parents and a coalition of new city-hired employees that would enforce his new standards. He couldn’t say exactly how that “enforcement” would affect kids. Street couldn’t say where he’d get the money to hire new staff or implement his policies. Doug Oliver, who recently stepped down as senior vice president of marketing and corporate communication for Philadelphia Gas Works, said there’s “false choice” between district schools and charter schools. “The only argument we should be discussing is are you a high-functioning school or are you not?” said Oliver, who plans to formally announce his candidacy in early February. Of the 40 applicants, Oliver said the SRC should target the “low-hanging fruit” by allowing operators with a great track record serving high-needs students to expand, while working to close the chronic underperformers. He cited Mastery’s Simon Gratz renaissance charter, which accepts all students from defined neighborhood boundaries, as a great model in the city. “Obviously, it’s a work in progress, but now Simon Gratz is one of the faster improving schools,” he said. In general, Oliver likens his vision for the SRC to operation of the Public Utility Commission. “They don’t tell us whether we should pursue natural gas vehicles, they don’t tell us whether we should expand our liquefaction capabilities, and they don’t tell us how late our district offices should be open, but they do tell [PGW], you will deliver natural gas safely,” he said. Nelson Diaz, a former Common Pleas Court judge and city solicitor, said there are great district-run schools and great charter schools. But Diaz, who announced his candidacy Thursday at an event in North Philadelphia, would not specify his thoughts on the matter further. The candidate most skeptical of new charters dropped out of the race earlier in the month due to insufficient campaign funding. Discussing the charter sector, Gillen spoke to the concerns of many traditional public education advocates. The SRC is expected to make its decision on the 40 charter applications in February. Rejected applicants can appeal to the state Charter Appeals Board. 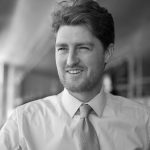 The district was compelled to hear new applications because of an amendment state Rep. John Taylor, R-Philadelphia, added to the cigarette tax-authorization bill last year. Last month, the Philadelphia School Partnership’s advocacy wing released a report calling for the SRC to approve every charter applicant that can effectively serve a high percentage of economically disadvantaged students. The next mayor will appoint at least two School Reform Commission members. The terms of Sylvia Simms and Marjorie Neff will expire Jan. 18, 2017.